Just bought a beautiful chevy impala from SAM !! He’s amazing, very detailed, patient, and super informative. Highly recommend, good cars good people. Everyone was very helpful.I didn't feel pressured to purchase the car and they provided me with options that would suit me. I was able to drive off the lot with a decent payment plan and I am very grateful that I came across their website because I have been searching for a car for some time now. I would definitely recommend this dealership. 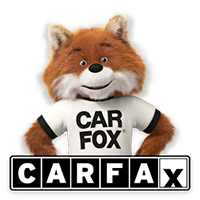 Best car dealership in the New York area. After a few failed attempts to get financing I came to this dealership and drove out in my car within 45 minutes. Good People, Good car and good service. I bought from Sam my Mercedes Benz and never in my life did I reseve an AMAZING customer service. If you want to buy a car he is the place to go. No over-bearing 'salesy' pitch to purchasing car, service contracts, etc. An event that can be stressful was very easy, relaxing and I felt confident in closing the deal with Sam--who has a very calm yet confident approach. 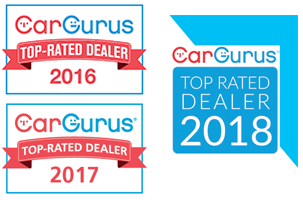 Every question asked was answered with patience and full knowledge of the entire car buying process. Overall, great cars and excellent experience. We drove off the lot in our beautiful Honda Pilot with confidence that we've made the best purchase with the best people this side of Brooklyn. You guys are the best. 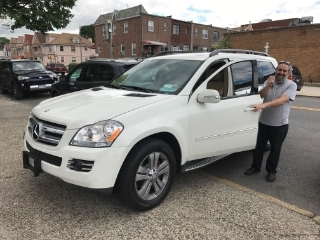 I got a 2011 Infiniti fx 35 with no money down . I just want to say a big thank you to all of you for all your help Am very happy . serivce was great, I love my car! these guys are good and they took care of me! I'll recommend them to anyone at anytime! My experience with Worlds Best Auto Inc. was A blessing from GOD. I dealt with Sam and he was truly a man of integrity, dedication, commitment, and honesty. He made sure it happened I walked off the lot with a truck of my dream. A Honda Pilot, on my income and bad credit Worlds best made it happen. As long as you are honest with them they will make it happen for you. My overall rating for this company is 10 stars. I went to various dealers I came out sad. I went to Worlds Best and became very glad. Don't hesitate contact them you to would be a very happy and satisfied customer just as I am. Just bought my 2012 Nissan Sentra from Worlds Best Auto. These guys are the real deal.The whole staff is very courteous and knowledgeable. Honesty is one of the traits alot of these car dealers don't have but Worlds Best did. 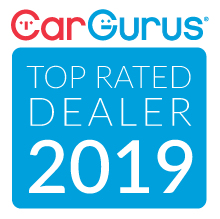 They stuck their neck out and really helped me leave with a car and even better, a full understanding of the financing agreement. I will definitely be coming back in the future for my car needs. I've been searching for a car for a little over two months and I stumbled upon a beautiful car and had to come in. even though it was only one car that caught my attention online, they had SO MUCH to choose from. They had to be the nicest salesman I've had to deal with throughout my search. Also, was very helpful in helping me stay within my budget and getting me something I loved. Very willing to make a deal with you. If I need another car, I know where I'll go first. Very recommended. I'm going to start this review with the headache I dealt with from soooooo many dealerships in the past few months... I almost gave up until I looked up what the best dealerships in nyc was n found Worlds Best Auto to b num 1.... I read review after review n thought this is too good to b tru but it isn't...... I walked in reluctant n walked out confident... I freakin luv my car n this has been the best car buying experience ive eva encountered....I look forward to doing all my future business wit Worlds Best Auto !!! U Guys R the Best !!!!! This is a superb dealership. Sam and Mike were knowlegable, respectful, and honest. Sam was very patient. The cars are extremely clean. I highly recommend World's Best Auto. All of the workers at this dealership were amazing! they walked me through the process step by step and was very patient with me on making the decision to buy my Nissan sentra 2013. There were not hidden fees like some other dealerships make you pay when you purchase a vehicle. The process was smooth and relaxing. I would recommend to anyone that is a first buyer! A great dealership in a place that's hard to find a decent one! I was looking to purchase my 1st car & I was very cautious. I remember passing by the dealership so I read a few Google reviews & decided to see what they were about. They were very honest and transparent in their approach while helping me select something within my budget. Sam did a great job assesing my needs & wants to come up with my potential options which landed me in a 2015 Altima! As an informed 27 yr old 1st time buyer I say go to worlds best auto!! If your experience is anything like mine they will work with you & be totally honest! GOOD CUSTOMER SERVICE AND FRIENDLY STAFF, I RECENTLY PURCHASED A 2006 LEXUS GS 300 AWD FROM DEALERSHIP GREAT EXPERIENCE. GOT 2 CARS FROM HERE AND SEND 4 CUSTOMERS. I LIKE THIS DEALERSHIP. GREAT PLACE TO BUY A CAR. I recently purchased a 2014 Altima from this dealership. 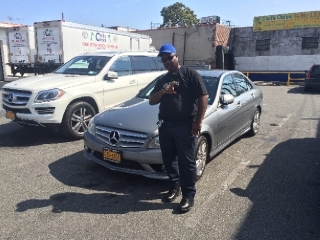 I am very satisfied not only with my car, but the service I received was impeccable. I will definitely be back for my sons car when he gets his license. 5 stars all the way. Thank you guys for all your help!